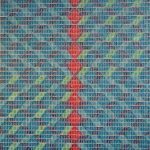 With the exception of ‘Wave’ these pictures including the triptych Bratatat are for sale from ArtGallery.co.uk or the artist. 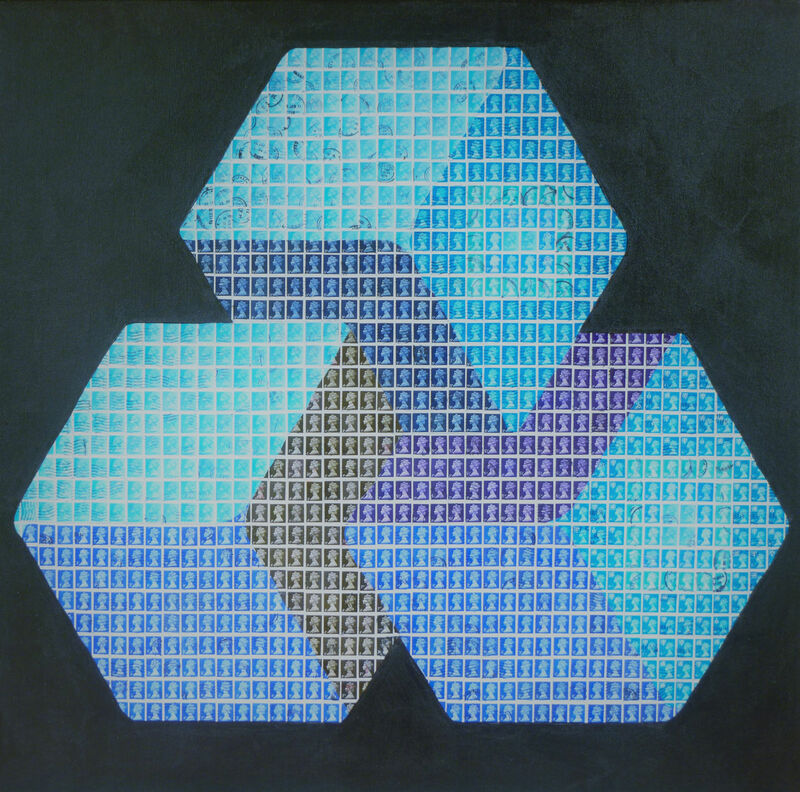 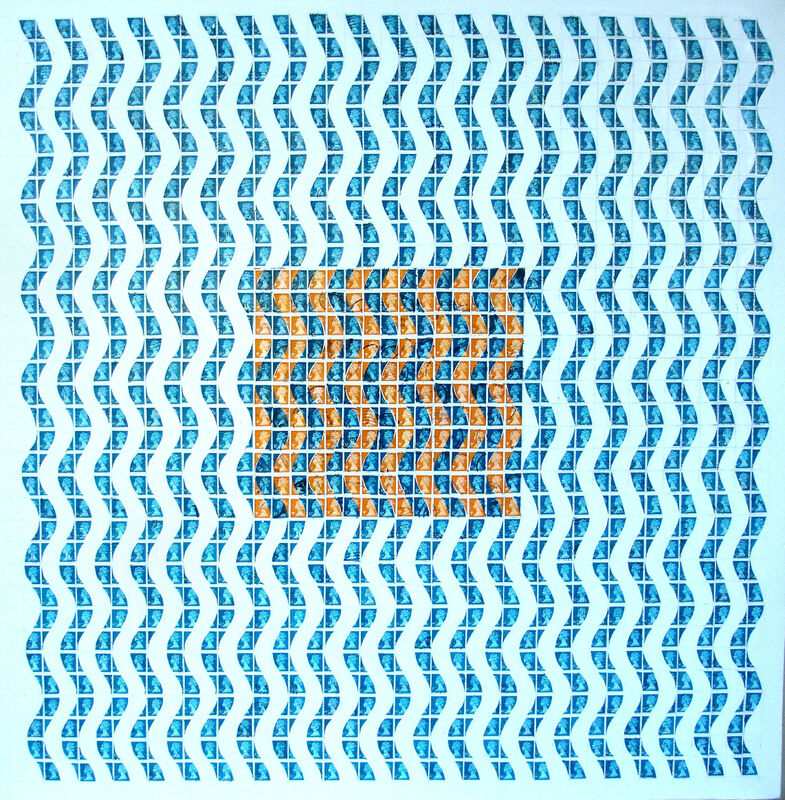 Pete has been exploring the work of the artists who create images that are both conceptual and ambiguous. 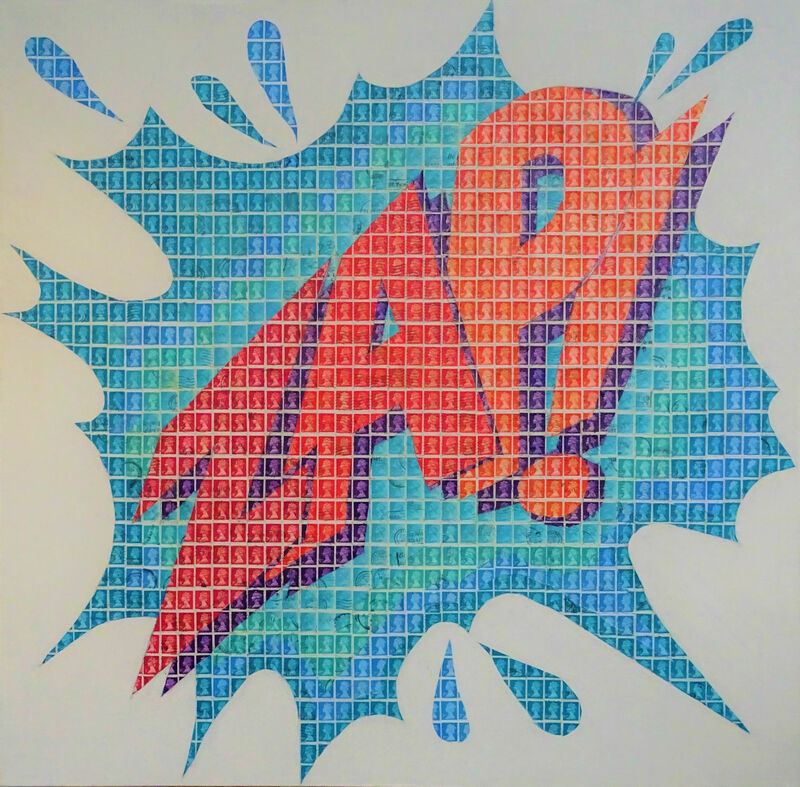 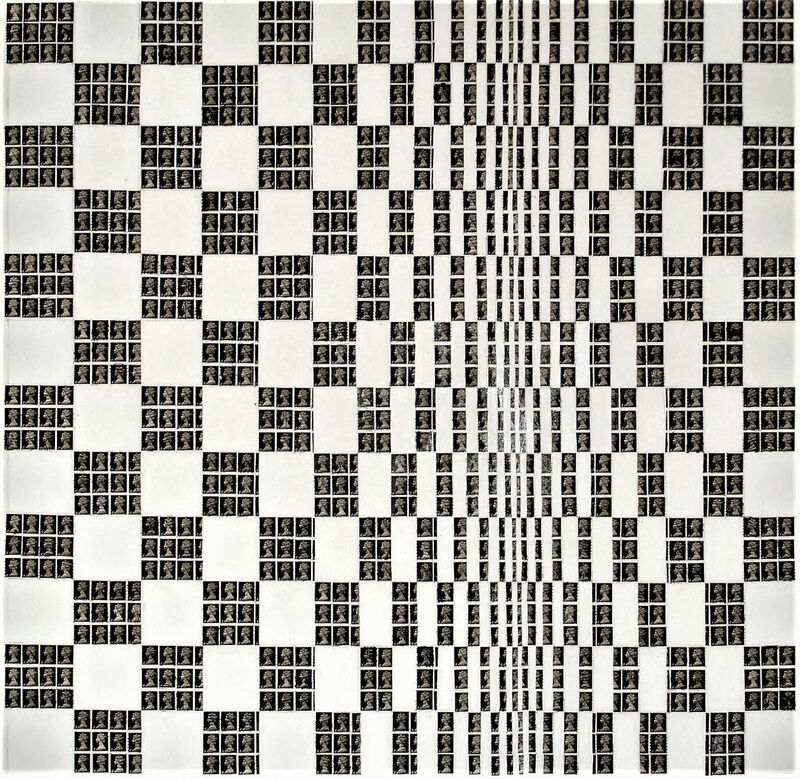 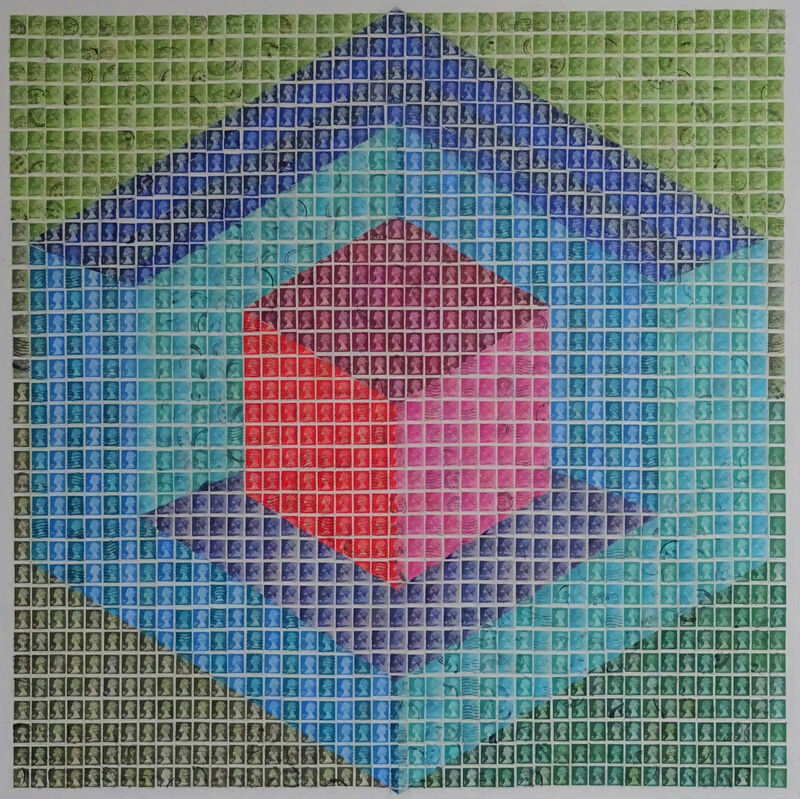 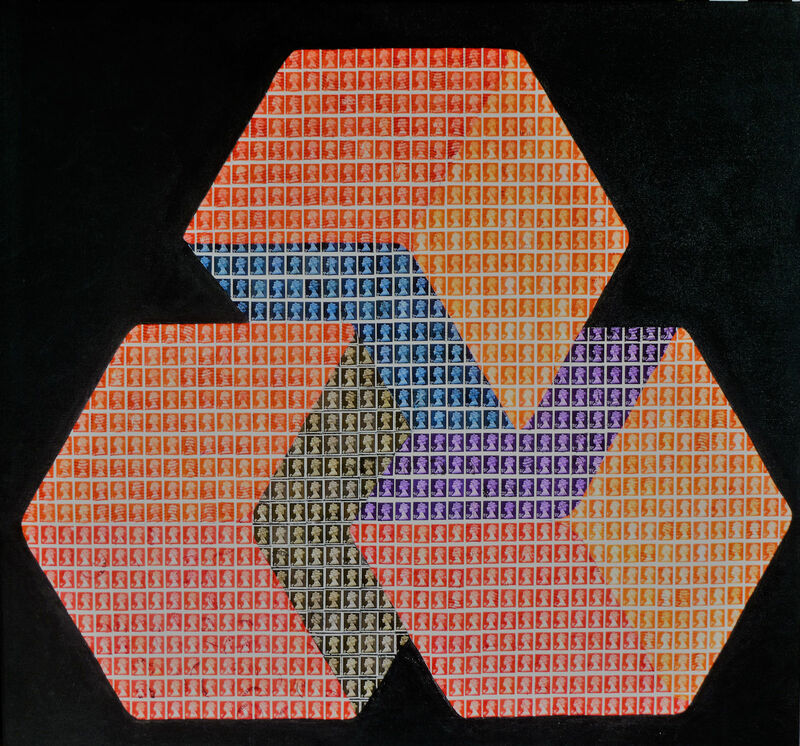 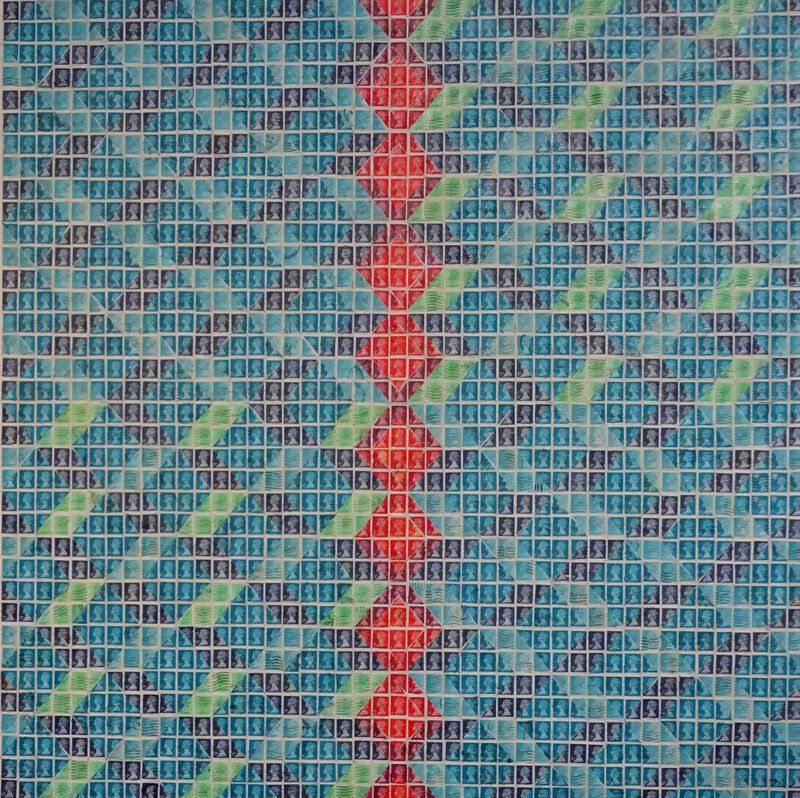 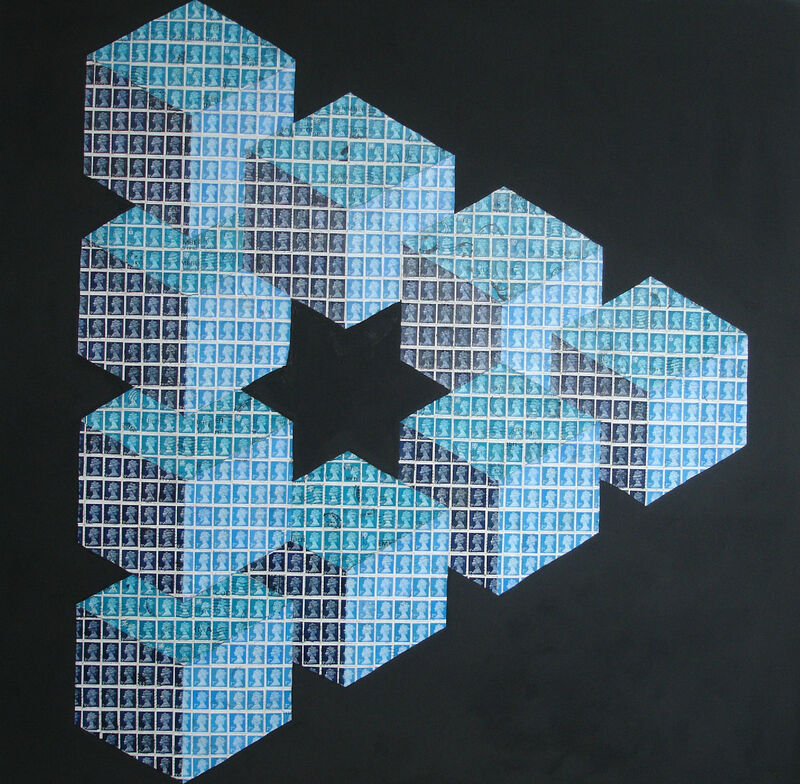 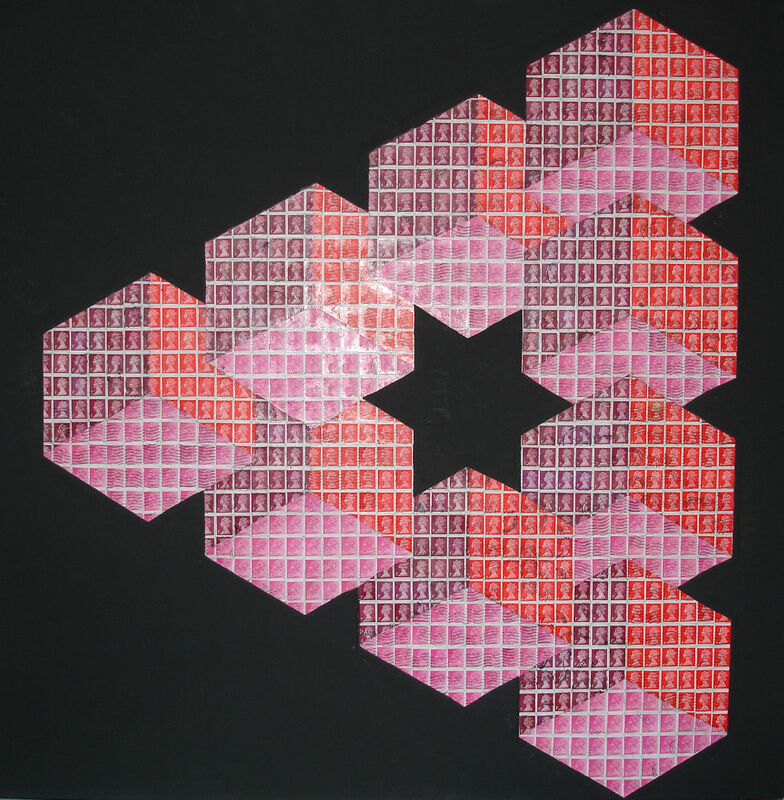 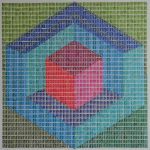 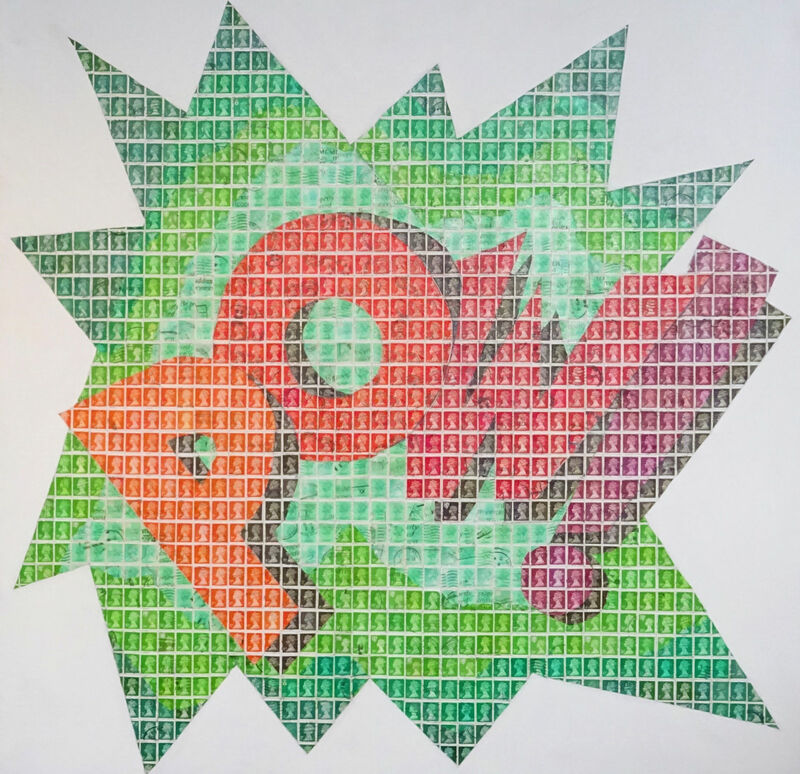 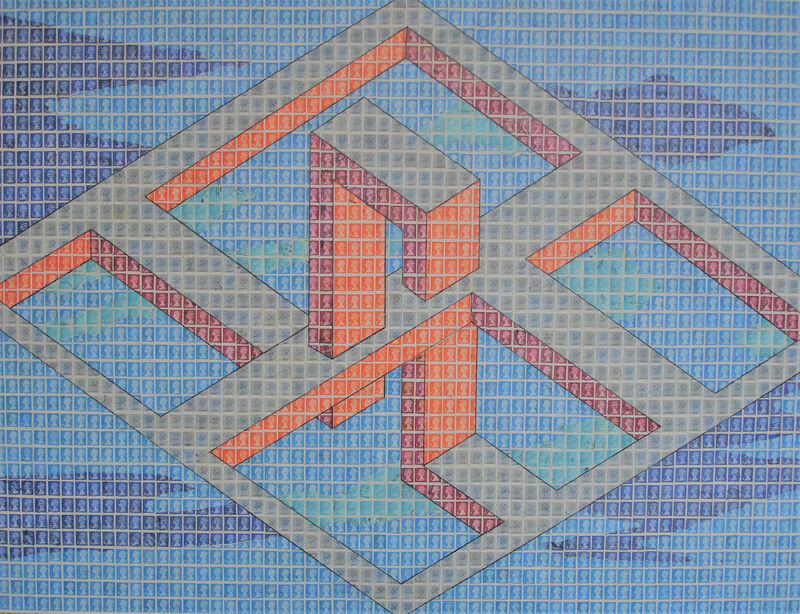 In particular he has looked at the work of Bridget Riley, Maurits Cornelis Escher, Victor Vasarely and Monika Buch and has been inspired to create his own illusory designs using postage stamps.